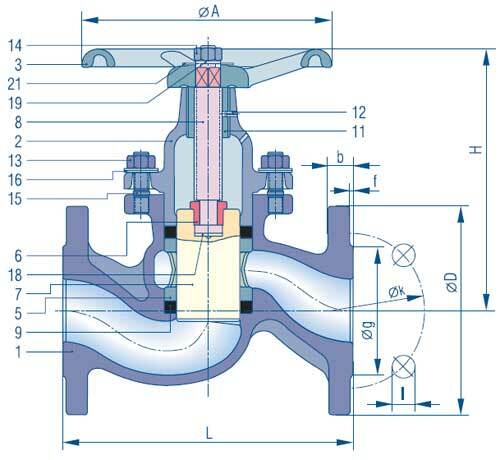 Designed as straight-through piston valve, sealed off by 2 flexible valve rings – body made of cast iron, spheroid EN 558-1al cast iron, cast steel or stainless steel. Handwheel made of cast iron, piston made of special Niro-steel, overall length to EN 558-1, flanges drilled to EN 1092-1 resp. EN1092-2.